Merrick Square is named after Christopher Merrick who left land to Trinity House in 1661. The square of 32 houses was built from 1853-72 and overlooked a private garden, still enclosed by its original C19th cast iron railings. At each end of the garden are 2 concrete cast urns on plinths and trees include London plane, chestnut, lime, sycamore, laburnum and various shrubs. The central beds were replanted in 2000 under the supervision of the Museum of Garden History, now renamed the Garden Museum. Christopher Merrick was a London merchant and 'younger brother' of Trinity House, sworn in on 8 September 1660, who gave land in 1661 for 'relieving weak and decayed Seamen and Mariners of this Kingdom, their Wives, children and Widowes where most need was'. The land had been purchased by his father in 1610. In the early C19th land south of the square around Harper Road was used to grow fruit trees and on a plot facing Great Dover Street to the north horseradish, mint and kale were grown. 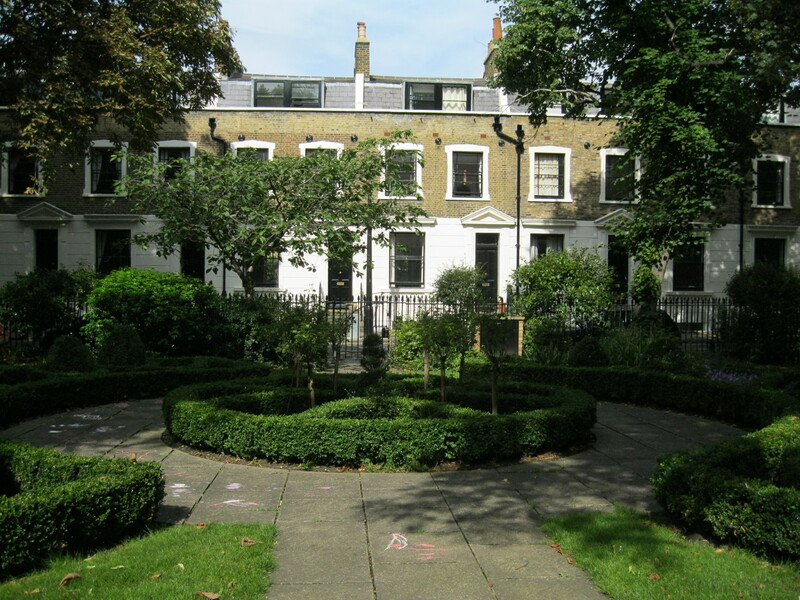 Merrick Square was designed by Richard Suter, surveyor for Trinity House, and was built between 1853 and 1856. Nos.16 and 17 on the south-west side were designed by Henry Jarvis & Son Ltd in 1872 with the Rectory for nearby Holy Trinity Church built between these two houses. Merrick Square remains in the ownership of the Corporation of Trinity House, and is composed of 32 single houses.